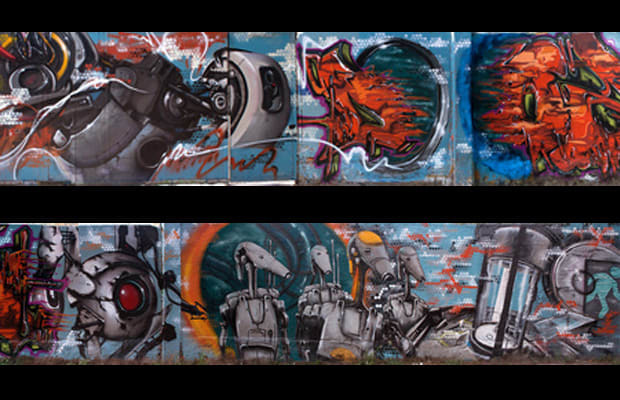 This is a Portal 2 mural by Ukraine artist Dozen. As much as we love Portal, we're more enamored with the fact that there's some Star Wars thrown in for apparently no reason. Actually, we'd totally play that crossover—a Jedi with a Portal gun? Bring it on.